Propeller Anime: Next Propeller Anime Club Meeting on Sunday, April 17th! Next Propeller Anime Club Meeting on Sunday, April 17th! The next Propeller Anime Club meeting will be on Sunday, April 9th at 1:00PM in FS3F-112 at Full Sail University in Building 3F. It will be a little shorter, due to our main feature's length. But that's okay because the night before, we're seeing REDLINE! Kigeki is a 10 minute animated short from director Kazuto Nakazawa, who has done key animation for Roujin Z and Fatal Fury: The Motion Picture. The main feature is the short, but sweet Legend of Koizumi. 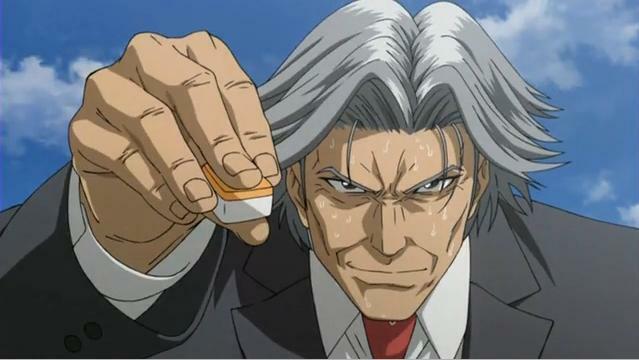 It's about Junichiro Koizumi's epic mahjong battles against other world leaders while on diplomatic trips throughout the world. Koizumi is a former prime minister of Japan. Both Bush presidents and Vladmir Putin will be in this, and some people(probably not us) will be offended. In Record of Lodoss War, a party of adventurers have formed: Parn the Knight, Deedlit the elf, Ghim the dwarf, Woodchuck the thief, Slayn the wizard, and Etoh the cleric. In a flashback we learn that Parn and his group have been tasked by King Fahn to find the sage, Wort, to see if he can provide them any information about Karla, the Gray Witch. During their adventure they had to fight and slay a dragon. In Durarara!! a ton of characters are introduced and it will take a but to get used to everyone. Unlike Baccano! the story is told in a linear fashion. We discover that Ikebukuro is a dangerous place featuring some of the toughest street thugs, gang members, and even a headless biker.